• Why do you sometimes have to drive like the guys from The Fast and the Furious: Tokyo Drift to successfully merge onto the Maple Street Bridge? •The Providence Sacred Heart labor negotiations continue. • OMG, did you see what Sasquatch was wearing this year? I know, right? I mean, come on, seriously? How Much Quatch Can A Sasquatch Quatch? • Senior Sasquatch Correspondent Laura Johnson digs into the deep flaws and utter joys of Sasquatch. • Independent investigator Kris Cappel supported the idea, according to council member Breean Beggs. So did the joint committee overseeing the investigation. So did the city council. You don't have to go far to find a public official who made a different choice than Condon, however. In fact, we can find one in Washington state. In fact, we can find a mayor. In fact, we can find a mayor who agreed to waive attorney-client privilege on a document when asked to by the very same investigator. "...Mayor Gough waived the City's privilege and provided the investigator with a copy during his May 27, 2010 interview," Kris Cappel wrote in her report in 2010 investigation from Don Gough, then mayor of Lynnwood. And it's not like Gough didn't understand the law. He's a civil attorney. On Friday, May 27th and again, on Monday, May 30th I asked Mayor Condon to meet with myself and the investigative committee to discuss the possibility, suggested by the committee, that the City hire Michael Harrington as special City Attorney for the investigation. This solution would not require the waiver of attorney-client privilege. In fact, it would allow documents to be released to the investigator, who would be retained by Mr. Harrington, under the protection of attorney-client privilege. Meanwhile, Ms. Cappel would write her report, which the Council could decide to release to the public. Only if the independent investigator decides that attorney-client privileged documents are relevant to and add to her report would she then use those documents in a later, supplemental report. The Council would then have to determine whether to release that supplemental report as well. The entire premise of Mayor Condon’s letter is that by not releasing the documents, he is protecting attorney-client privilege. But he is not being asked to waive this. By hiring Mr. Harrington, the city gets the best of both worlds: a thorough and independent investigation while preserving and protecting attorney-client privilege. The mayor is not in an either/or situation. That is why I wanted to meet with him and the entire investigative team, a committee appointed by both the Council and the Mayor and which unanimously supports hiring Harrington. We must be able to sit down and talk about these issues as the investigation concludes. Mayor Condon points to an email that was retrieved in a public records request to argue that we intended to violate the Public Records Act. Oddly, however, the email he points to in support of that claim was properly retained on the City’s email server and located as the result of a public records request. I am very disappointed in Mayor Condon. He implies that my support for a solution which is endorsed by the investigator and the oversight committee is somehow evidence that my motivation in doing so is political gain. 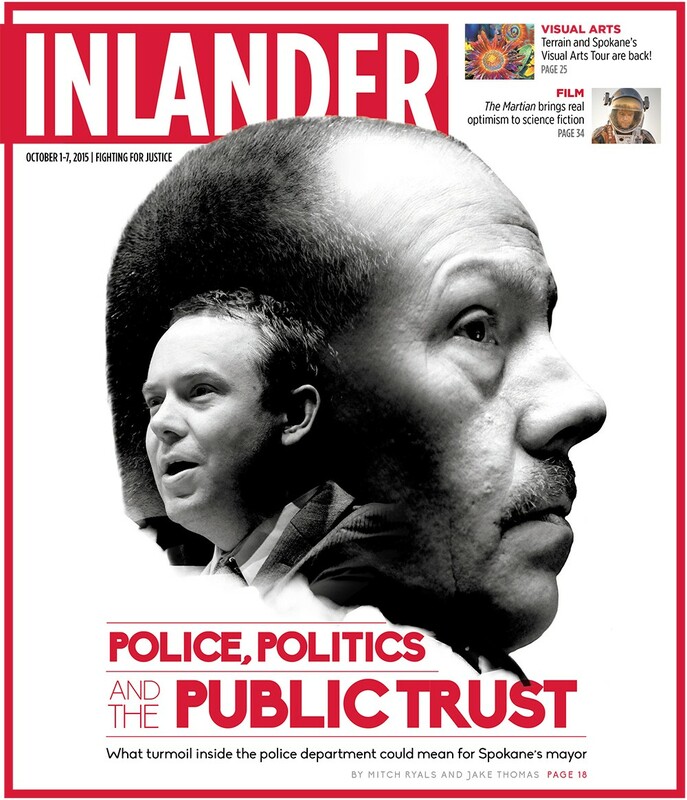 Mr. Condon’s statements imply that he thinks that simply insisting on the truth is “political.” I believe the public needs to know the full story if we are ever to have a realistic chance of avoiding repeated mistakes. That goal is not political; responding to a meeting request with a press release is. I reiterate my request to Mr. Condon to sit down with him and the investigation committee so that we can iron out all issues remaining as the investigation reaches its conclusion. What would have happened to the money if he hadn't received the nomination?